Both Parrikar, as Chief Minister and Kavlekar as Leader of Opposition, are part of the six-member Committee. PANAJI: Accusing ailing Chief Minister Manohar Parrikar of avoiding meeting legislators from the Opposition, state Congress President Girish Chodankar on Friday said if Parrikar continues this, the Opposition party would raise a ruckus in the forthcoming state Assembly session. "Parrikar has been skipping office regularly. When it comes to meeting him, it is only the ruling MLAs and BJP leaders that get preference. 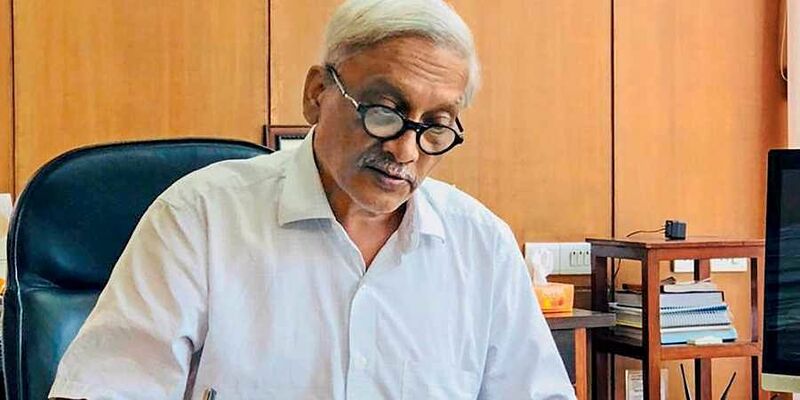 Despite repeated official requests, Parrikar has not even had the courtesy of meeting our Leader of Opposition, let alone any Congress MLA," Chodankar told reporters here. "If he dodges meeting the Leader of Opposition Chandrakant Kavlekar on Monday during the Assembly Business Advisory Committee meeting, then the Congress MLAs will raise the issue of his inaccesibility in the Assembly session," he added. In the Business Advisory Committee meeting, the agenda for the upcoming three-day Budget Session of the state Legislative Assembly, scheduled to be held later in January, is expected to be finalised. Parrikar is suffering from advanced pancreatic cancer and has been in and out of hospitals in Goa, Mumbai, Delhi and New York since February 2018. While the former Defence Minister, strapped with medical paraphernalia, has been making public appearances now and then, public access to the Chief Minister is limited, much to the chargin of the Opposition members. According to sources in the Goa Bharatiya Janata Party (BJP), Parrikar is expected to attend the Assembly session which begins on January 29. "The Chief Minister will take part in the Assembly proceedings and will table the budget too, irrespective of health concerns," a party functionary said on condition of anonymity.